Worship in this muhurat to attain success! Read the significance of Dussehra, which is celebrated today, i.e. 19 October and mythologies related to it. Dussehra is celebrated nationwide with joy and merriment today. This festival marks the triumph of goodness over evil. After Sharad Navratri ends, Dussehra is observed on the dashmi of Shukla Paksha. As per mythological beliefs, Lord Ram killed Lord Ravana on this very day, which is why it is also called Vijayadashmi. There is also a ritual called Shastra Puja on this day, where weapons are worshipped. Dussehra is considered to be one of the auspicious days, and it is said that any task done within this muhurat offers fruitful and sanctified results. Before Dussehra, Navaratri is observed for nine days and ends with Durga Visarjan. The muhurat for Durga Visarjan is either observed early in the morning or during Aprahan period or afternoon on the day of Dussehra. Hence, the idol of Maa Durga can be immersed in water early morning or during afternoon on the day of Vijayadashami. Note: Above timings mentioned are effective in New Delhi. Find the Dussehra muhurat and puja vidhi for your city. The day of Vijayadashami is considered to be one of the most auspicious days in HInduism. This is one of the three-and-a-half muhurats. The most auspicious muhurats in a year are Chaitra Shukla Pratipada, Ashwin Shukla Dashami, Vaishakh Shukla Tritiya and Kartik Shukla Pratipada (half muhurat). This duration is fruitful in case you want to start any new task. Although some specific muhurats are defined for special occasions and puja. It is said that when sun sets and stars start appear in the sky, then this period is called Vijay Muhurat. 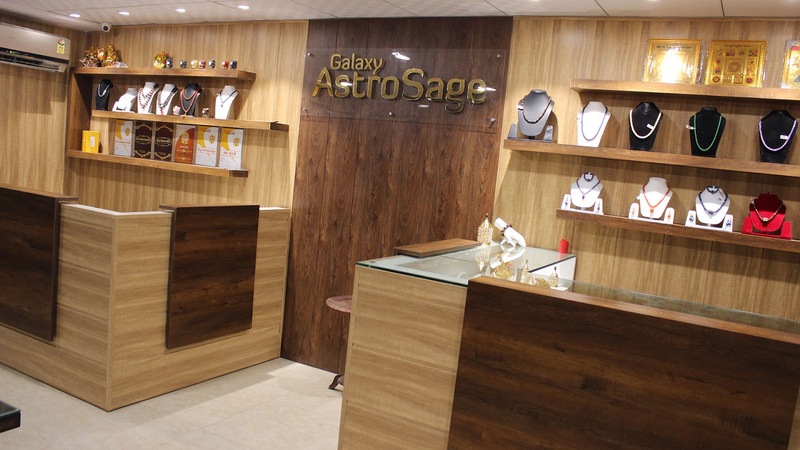 During this time, carrying out a pooja garner auspicious results. Lord Shri Ram launched the war against evil Ravana in this period only. At the same time, a tree called Shami had taken the form of Arjun's bow or Dhanush..
Mark a sacred and auspicious place in your home in the north-east direction. This place can be around a temple, garden etc. It would be good if all members of the family get involved in the puja, although it can be done individually. Clean that place properly and draw an Ashtadal Chakra (eighth petals of Lotus) using sandal paste. Take an oath or sankalp which concludes that you are doing the puja of Devi Aparajita for the betterment of your family or yourself. After that, invoke Maa Devi Aparajita in the middle of Ashtadal Chakra while chanting the mantra “अपराजिताय नमः / aparājitāya namaḥ”. Now invoke Maa Jaya on the right by chanting the mantra “क्रियाशक्त्यै नमः / kriyāśaktyai namaḥ”. Click to read Puja rituals in detail! According to religious texts, Maa Durga fought with a monster called Mahishasur for nine days and on the tenth day, she eliminated him by killing him, hence protecting the whole universe. Apart from this, in the Treta era, Lord Shri Ram slaughtered Lankapati Ravana, hence the name Dussehra. Since then, the ten-headed statue of Ravan is lit every year as a symbol of this festival signifying the destruction of anger, greed, delusion, intoxication, jealousy, selfishness and ego. 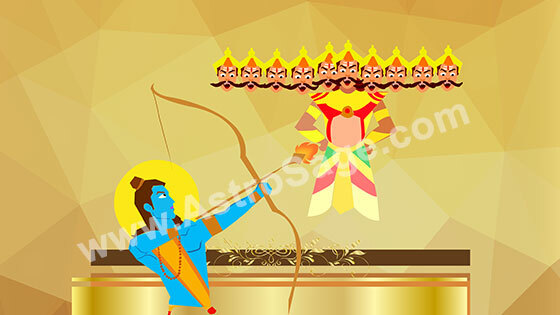 AstroSage wishes all its readers Happy Dussehra! Maa Siddhidatri and her glory on Navmi! Read why it is important to worship Maa Siddhidatri on the ninth day of Navratri, what are the customs and rituals involved, when and how to do parana, as well as the shubh muhurat for Durga Visarjan. The auspicious nine days of Navratri will be over on October 18. The navmi tithi of Navratri marks the completion of the festival. The next day is celebrated as Dussehra or Durga Visarjan. This year, Dussehra will be celebrated on October 19. During the festival, beautiful pandals are created across the country and people worship Maa Durga with special fervour. On the ninth day, Maa Siddhidatri is worshipped and people organize bhandara or kanya pujan. This day holds immense significance, thus, it is crucial to know the muhurat for parana and Durga Visarjan. Note: The time mentioned above applies to New Delhi region. Know Paran Muhurat and auspicious time for Durga Visarjan in your city. The literal meaning of the word Siddhidatri is - one who grants siddhi or accomplishments. Maa Siddhidatri is known to be the ninth form of Maa Durga. It is believed that worshipping her brings success and happiness. If a devotee worships her with complete dedication and a clear mind, he attains the state of bliss and even moksha or salvation. On the ninth day of Navratri, Maha Navami is celebrated. Havana is held on this day in which offerings for all the gods and goddesses are given/served. As per shastra, Parana is performed on tenth day of Navratri. The fasts that continued for nine days are considered to be complete after special rituals are performed. After parana, fruits, gifts, clothes etc. are offered to Brahmins. Also nine young girls are worshipped as incarnations of Goddess Durga. They are gifted sweets, food and sometimes money. During Durga Puja, Sindoor Utsav has a special significance. This is a unique ritual that is observed in West Bengal or Kolkata. Married women play with Sindoor and apply it on each other’s forehead before the Visarjan takes place. With the idol of Maa Durga submerged into water, the festival of Durga Puja comes to an end. The day of Vijayadashami or Dussehra is the day of Visarjana. The time depends upon the tithi of dashmi. The ritual is performed either in the morning or at noon when the tithi of navmi is over and the tithi of dashami starts. Astrosage wishes all its readers a Happy Maha Navami! Worship Maa Mahagauri during this muhurat! Read the significance of Ashtami poojan and other rituals that would help you please Maa Durga and get your wishes fulfilled. Ashtami pooja holds great significance in Navratri. 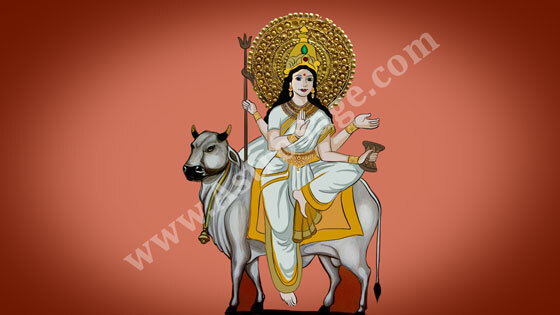 This is the day when Goddess Mahagauri is worshipped with great festivity. Hindu religion and related communities have special protocol for celebrating this day. Though, the form of worship varies from family to family, depending upon customs specific to a region or ancestral norms. The day is considered to be auspicious in all forms. Several religious rituals like Mundan Sanskar, Annaprashan Sanskar and Griha Pravesh or house warming ceremony are also held on this day. This year Ashtami puja will be held on October 17, 2018. Note: This muhurat applies for Delhi region. Click to know muhurat for Ashtami puja in your region. Remark: Navami will begin on 17 October after 12:51:47 till 15:30:41 on 18 October, which is why Navami must be observed on 18 October 2018. Goddess Mahagauri is the eighth form of Maa Durga. She is gentle, calm and tender in her nature. She rides a bull, who is her mount. Those who worship her with complete devotion, beget her blessings and obstacles from their life get eliminated. It is believed that Maa Durga took the form of Maa Mahagauri to beget Lord Shiva as her husband. She underwent a tough auterious worshipping ritual for the same and her complexion turned dark because of it. Lord Shiv, after being impressed by her dedication, made her take a bath in the holy water of Ganges. Her complexion then turned fair and she came to be known as Maa Mahagauri. Kumari- Those girls who are two years old are called Kumaris. Worshipping them makes you free from sorrow and poverty. Trimurti- The girls of the age 3 years are called Trimurti. By worshiping them one gets blessed with sons and grandsons. Kalyani- Worshipping girls who are of 4 years in age bless you with knowledge and happiness. Rohini- Worshipping girls of age 5 makes you free from diseases. Kalika- The girls who are of 6 years of age are worshipped to get rid of enemies. Chandika - To attain wealth and splendour, the girls of age 7 are worshipped. Shambhavi - 8 years old girls are worshipped to attain victory and success in every sphere. Durga - The girls of age 9 are worshiped as a form of Durga. With the influence of your worship, divine pleasures are attained. Subhadra - Girls having their age at 10 are worshiped as Subhadra. By doing this, all your wishes come true. We expect that you would enjoy reading this article on Navratri Ashtami Puja. 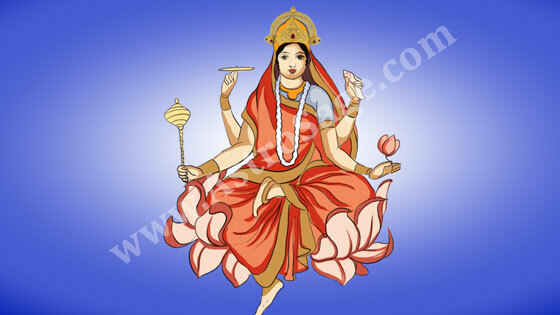 Astrosage wishes Happy Navratri to all its readers. These five signs will be lucky this week. Read your weekly horoscope to know how this week is going to be in matters concerning job, business, education, health or family. The week is surrounded with the festivities of Navratri and Dussehra. The five signs including Cancer, Leo, Virgo, Libra and Scorpio will experience another level of happiness and will receive good news from all directions. Religious and astrological aspects make the week crucial and significant. This week on 18th October, Sharad navratri will be over. On the next day i.e. on October 19, 2018 we will celebrate Dussehra. Also on 17th October, the transition of Sun into Libra sign will take place. Today is the sixth day of navratri and Maa Katyayani is worshipped on this day. Read the significance of worshipping Maa Katyayani. Shani Report, Raj Yoga Report & Yearbook @ just ₹199 only! Get heavy discount on these three reports!